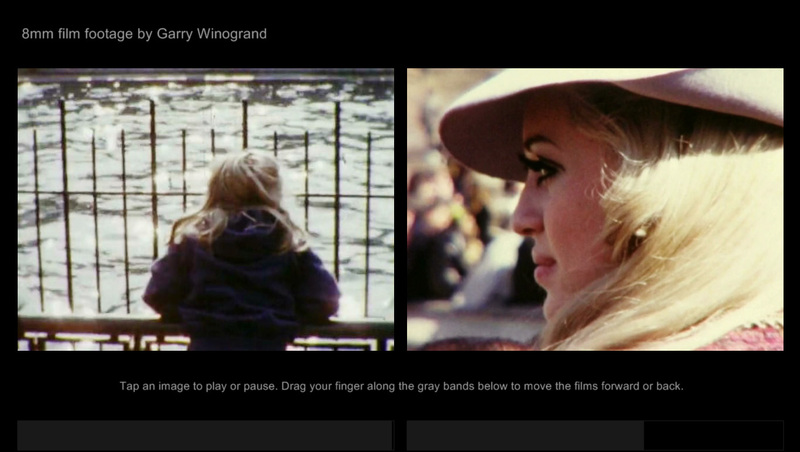 The 8mm film footage by Garry Winogrand exhibit features two of Garry Winogrand’s 8mm films displayed side-by-side on a 21.5” 3M touchscreen. 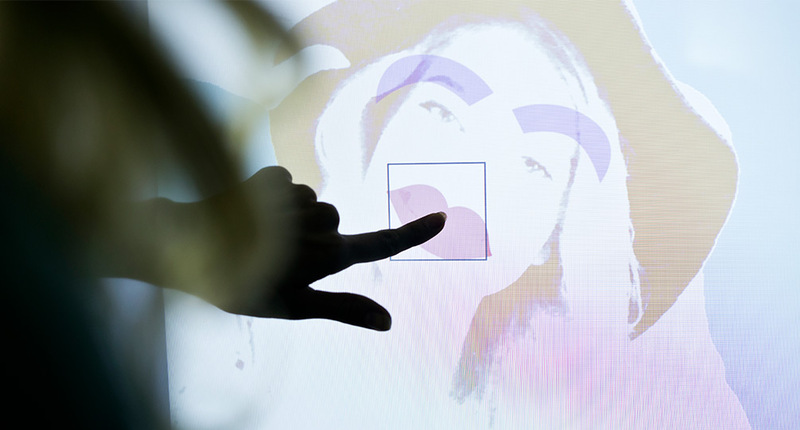 It allows museum visitors to play/pause and scrub through the films using multitouch gestures and a minimalistic user interface. 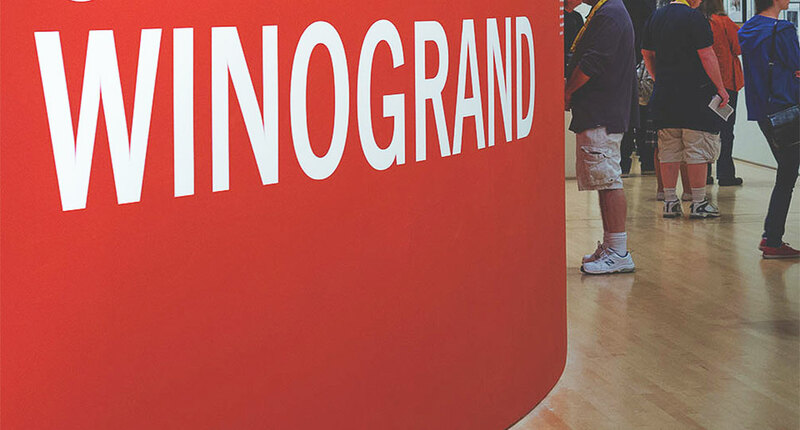 The exhibit design showcases Winogrand’s work, each frame a photographic work of art. The films can be experienced at the visitor’s control providing the opportunity to create endless juxtapositions between them. The exhibit was designed and developed by Ideum in collaboration with SFMOMA. For more information on the Garry Winogrand exhibit visit the SFMOMA website. 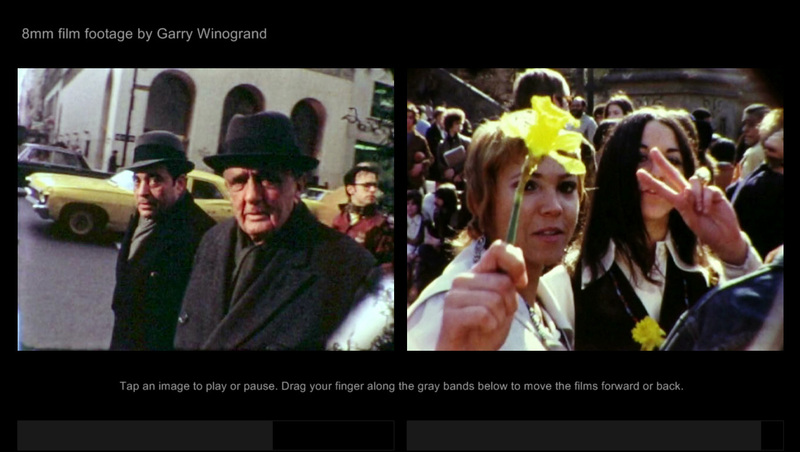 Visitors move through Winogrand's films at their own pace. 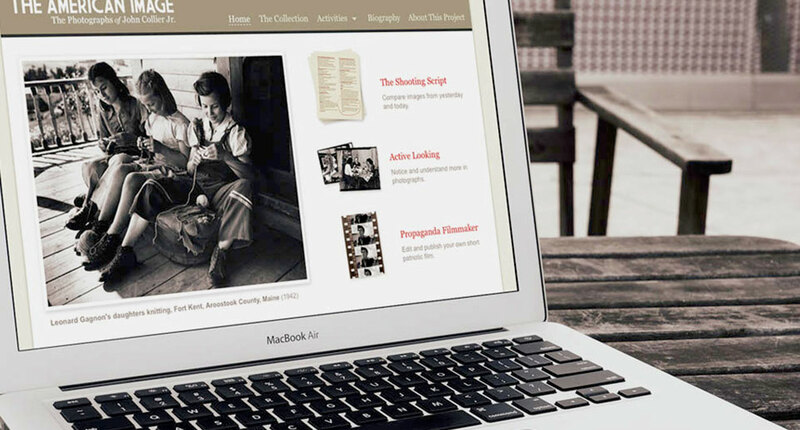 Side-by-side format allows powerful creative comparisons.